April 10, 2019, HYANNIS, MA … Cape Cod Technology Council (CCTC) is pleased to announce that they will be holding EarthTech Expo 2019 on Saturday, May 4th, 2019, from 10:00 am to 4:00 pm, at CapeSpace Business Center located at 100 Independence Drive in Hyannis. The Presenting Sponsor for this event is Cape Light Compact. 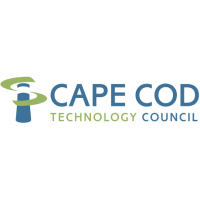 The Cape Cod Technology Council, Inc. (CCTC) is a membership-based, events-oriented non-profit organization promoting technology and its understanding on Cape Cod, the Islands, and in Southeastern Massachusetts.